Vision Sisu rods are higher end fly rods replacing their long term favourite the Extreme. 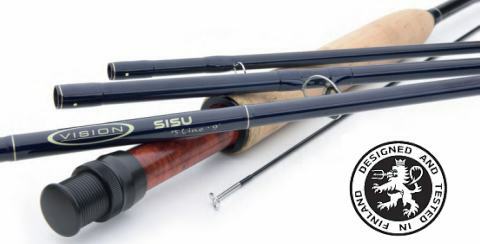 Sisu is a four piece rod and comes in a triangular nylon tube. Sisu has modern medium fast action. It is light, sensitive, responsive and has plenty of power.